TADPOG Podcast Episode 425 - Mike Tyson's Punch-Out!! Now let’s come out boxing! So far we’ve been playing through the NES Classic games alphabetically, but for this episode we’re switching up the order for a special reason. Drew Rowland (long-time listener, fellow podcaster and friend of the show) is tying the knot with Bailey (of Michael Jackson’s Moonwalker fame) this week! Mike Tyson’s Punch-Out!! 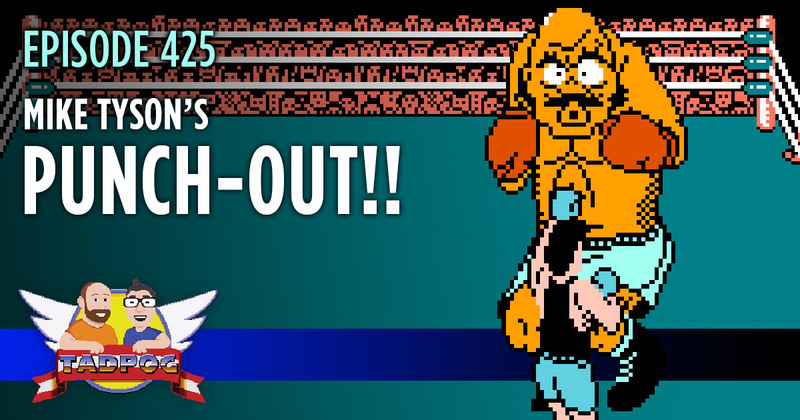 is one of Drew’s favorite games of all time, so we’ve decided to talk about it and it’s rerelease, Punch-Out!! (with Mr. Dream), in honor of the upcoming nuptials. Um, we also explore some dark places on this episode…so enjoy that! And don’t forget to join the Nintendo Fan Club today!